Well, it's that time again. No, it’s not time to freak out over impending midterms (yet). However, it is time to discover what music from last month you should be listening to based on your astrological sign. This is your 2018 February Music Horoscope. February for Aries was primarily a time to take a reprieve from hectic life and care out some personal space. While Aries may have seemed more distant this month, that desire for distance likely stemmed from a need to sort out an intellectual dilemma or practice mindful self-care. Hundred Acres by indie folk alternative artist S. Carey (formerly of Bon Iver) is an excellent listen to complement the emotional refuge Aries sought in February. A relaxed acoustic album, Hundred Acres’ themes about reconnecting with nature and mindfulness coupled with gorgeous harmonies and simple instrumentals make this album make this a great choice for Aries to unwind to moving forward. While the beginning of the year was highly charged with productive energy for Tauruses, February was about settling into a routine in order to sustain that energy. February, though not without its tense moments, was largely about remembering how to chill out. The debut album from singer-songwriter Anna Burch, Quit the Curse, is a sufficiently relaxed piece to help Tauruses maintain their flow. The album features laid-back vocals from Burch and light, catchy, almost surf guitar hooks, making this album perfect for easy listening. Though it may sometimes be a challenge for the often diligent Taurus to relax, Quit the Curse offers the perfect remedy with its breezy style. Geminis saw success last month by incorporating more practical problem-solving approaches into their lives. Often mercurial by nature, Geminis in February strove to temper this flightiness by establishing and achieving more concrete goals, both short and long term. Man of the Woods, the latest album from pop icon Justin Timberlake, incorporates more grounded moments, reflecting Gemini’s more recent down-to-earth temperament. Despite the critical backlash the album received upon release, many of the tracks on Man of the Woods feature lighter, more acoustic riffs that are pleasantly simple and easy to listen to. Geminis looking for an album to get work done to may be surprised by how much Man of the Woods has to offer. February saw Cancers striving to assert their individuality and explore their unique passions. Often very empathetic people, Cancers tend to be extremely attentive in caring for others; however this past month noted a marked deviation from this sentiment. Cancers took much more time this month to delve into their own hobbies and develop their own sense of style. Beautiful People Will Ruin Your Life by veteran indie rock band The Wombats is an beautifully eccentric album that is totally unapologetic about its eccentricity. A fantastic listen for Cancers trying to distinguish themselves, this latest album’s witty lyrics and complex, often surprising instrumentation make it a joy to experience. Leos’ February saw them reconnecting with the things that make them feel most like themselves. Whether it was delving into an old hobby or developing their unique styles, Leos made a conscious effort to be more authentic to themselves this past month. Expectations, the newest album from indie pop group Wild Child, channels the spirit of coming into one’s own with its well-crafted lyricism and heartfelt sentiment. This album effortlessly tempers its grand sweeping tracks with smaller, more personal songs, giving its listeners balance and satisfaction. For Leos working on being true to themselves Expectations is a refreshingly honest and reflective listen. February saw Virgos shifting their focus from work and school towards building stronger one on one relationships with close friends and colleagues. Though often more intellectual, Virgos do recognize the value in establishing strong friendships, as evidenced by their desire to reach out this past month. The latest album by singer-songwriter Vance Joy, Nation of Two, fun, accessible album that highlights the importance of personal relationships. Acoustic, passionate, and optimistic, this album is perfect listening for whatever adventures await Virgos and their friends. Last month for Libras focused primarily on figuring out how to buckle down and get work done. Though organization and the tenacious pursuit on a single goal may not come as naturally to Libras as with other signs, February presented Libras with the opportunity to develop those skills and work on achieving a consistently productive workflow. The latest album from alternative rock group Dashboard Confessional, now reunited after a five year hiatus, has more than enough energy and drive to motivate Libras to continued success. With tracks channeling the fighting teenage spirit of early 2000’s rock, Crooked Shadows is a fantastic listen for Libras who need pump-up tracks to get them through their week. Scorpios in February shifted much of their focus from reminiscing about the past to looking forward to the future. Lots of variables fell into alignment over the course of the month, allowing Scorpios to focus on long term planning and goal setting while still acknowledging nostalgia now and again. The second album from singer-songwriter Brian Fallon, Sleepwalkers is an album that straddles the balance between looking forward to an optimistic future and recalling good times past. Filled with heart, this soulful piece is an uplifting, well-balanced listen sure to inspire Scorpios to continue setting their sights high. February saw a drastic shift for Sagittariuses, from being in a state of uncertainty and more isolated contemplation, to finding comfort and connection with the people around them. Though not inclined to seek out meaningful relationships at the beginning of the month, Sagittariuses were able to find peace and solace in reaching out to others and reestablishing a social support structure. Cusp, the newest album from singer-songwriter Alela Diane, centers around the emotions that often surround life transitions and emphasizes the importance of friends and family in supporting those transitions. Melodic, bittersweet, and thoughtful, this latest album is a beautiful exploration of different phases of life, and is a great piece to reassure Sagittariuses as they seek to connect and grow. Capricorns really hit their stride in February. Largely feeling confident and self-assured, last month was full of victories, both large and small, that certainly didn’t go unnoticed by Capricorns and those around them. 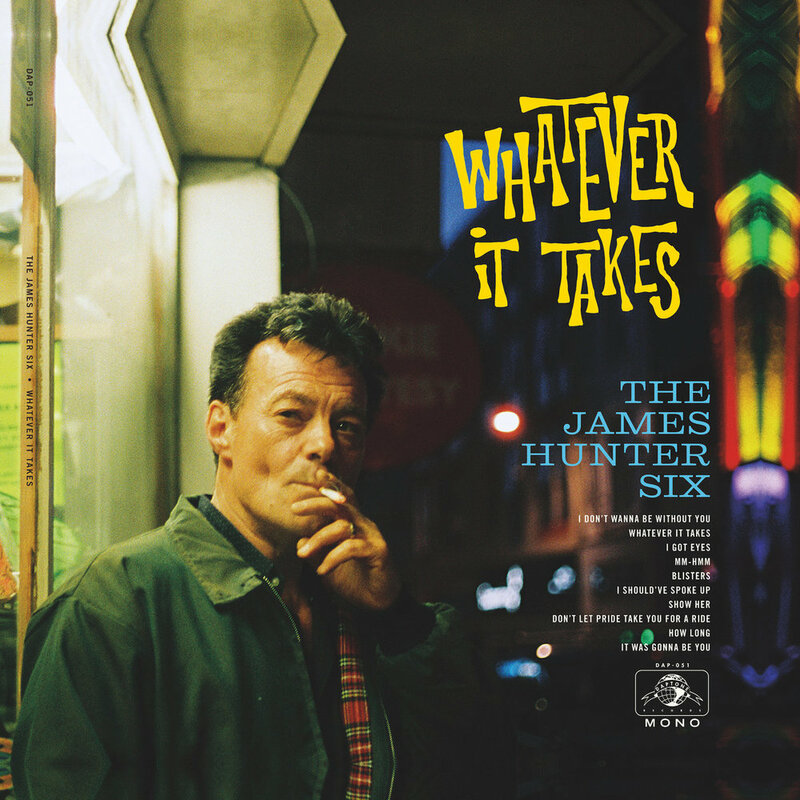 Whatever It Takes, the latest album from retro-soul group The James Hunter Six, is a heartwarming ode to living free and feeling good. One of my favorite albums of the month Whatever It Takes draws inspiration from classic artists like Ben E. King and Sam Cooke, and successfully channels the uplifting soul of its predecessors. The perfect album to keep the good times rolling, Whatever It Takes is an album sure to make Capricorns smile. Aquarians were driven to make a tangible dent in their projects with month. Usually quite busy as a result of their creativity, Aquarians had no trouble finding sufficient energy and drive to accomplish their goals this month. One of the most surprisingly energetic albums of the month Here Come the Runts by alternative group Awolnation is an upbeat, tireless album that well reflects Aquarians' passion this last month. Boasting an eclectic mix of rock, garage punk, and even acoustic influences, the one constant of this album is its intensity. For Aquariuses who want a jumpstart for the next month to keep their enthusiasm hot, Here Come the Runts is certainly an ideal listen. Last month, Pisces focused on utilizing their unique strengths for the good of their social networks. Pisces are often lauded for their versatility and flexibility, and February proved to be a great month to make use of those traits. Always Ascending, the newest album from acclaimed indie rock group Franz Ferdinand, is a piece as varied in theme as in style and a fitting complement to Pisces’ adaptability. The album not only features the band’s signature post-punk sound, but also incorporates 80’s synth and pop influences in the piece’s eclectic track listing. Pisces looking for music to mirror their diverse talents and interests will find a lot to love in Always Ascending.